We ask the question: How might we understand and redesign food systems for more secure food futures? Workshop participants are taken through a design-led process that explores understanding the importance of design briefs, investigating the topic of food security in more detail, using Relative Creative’s cognitive redirective mapping technique to further unpack the issues at hand, write a design fiction to design back from, developing a design and presenting that design. We encourage participants to work in groups to draw on multiple perspectives and differing experiences. Our Food Security workshop can be tailored to suit your needs. 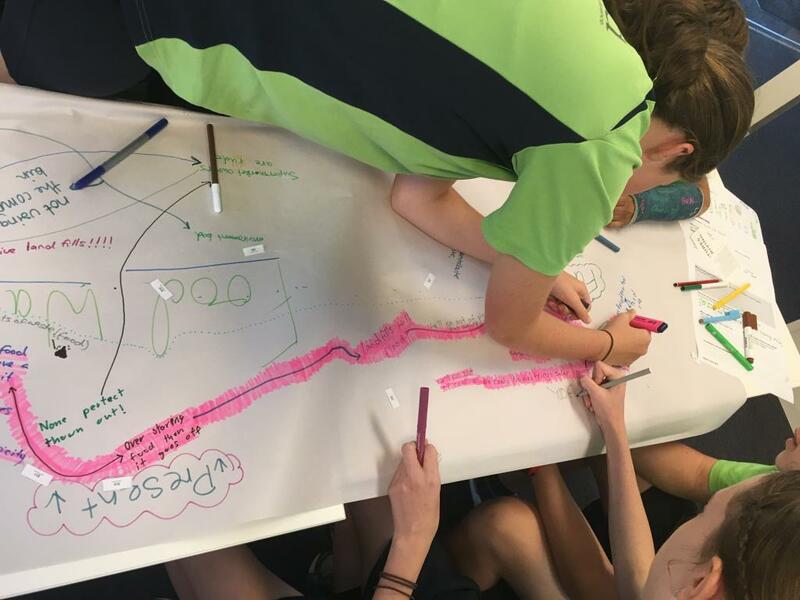 We recently ran 3 x 1.5 hour sessions with Silkwood’s Year 9 students. Get in touch if you’d like to discuss design workshop options for your school or organisation.